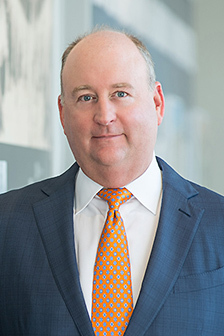 Although he grew up immersed in the culture of the company, Drayton Saunders didn't formally join Michael Saunders & Company® until January of 2003. Since then he has held a number of key leadership roles that have culminated in his current position as company president as well as president of MSC Mortgage and MSC Title, two of the company's full-service divisions. A native-born Floridian and graduate of Colgate University, Drayton has served in varying capacities during his 15 years of service to the company, which was founded by Michael Saunders in 1976. He served as branch manager for two of the company's south Sarasota County offices — in Venice and Plantation. He followed this by managing the company's high-volume sales offices on Longboat Key. As proactive in his off hours as he is during each business day, Drayton is proud to have been a founding member of Sarasota's Young Professionals Group — an organizational offshoot of the Greater Sarasota Chamber of Commerce. Drayton has served on numerous other boards of directors, including those for The Greater Sarasota Chamber of Commerce, Goodwill Manasota, Top 50 Brokers, Gulf Coast CEO Forum, The City Alliance of Sarasota; and the Sarasota Association of REALTORS®. Currently he sits on the boards of Sarasota EDC, MFRMLS, Community Reinvestment Community Foundation of Sarasota, and Visit Sarasota County — the county's official tourism agency. He is also actively involved in the exploratory Bayfront 20:20 project to optimize access to the Sarasota bay front and create a common vision for its future. In his spare time, Drayton enjoys sailing, cooking, spending time with his wife and his two young children and salsa dancing.